The machine is not to blame! It is not made cheaply, it is the plastic. I am going to share with you now how I took YEARS this lovely New Home Memory Craft 6000 and made it look brand new using only a few items I happened to have right here at home ( and I bet you do too)! 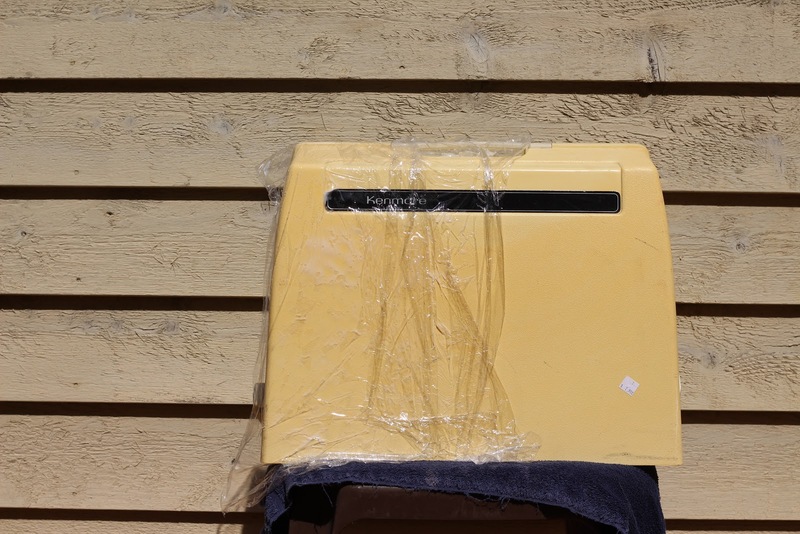 "Exposure to UV radiation can cause plastics to change color (turn yellow), crack, break, shatter or even melt!" 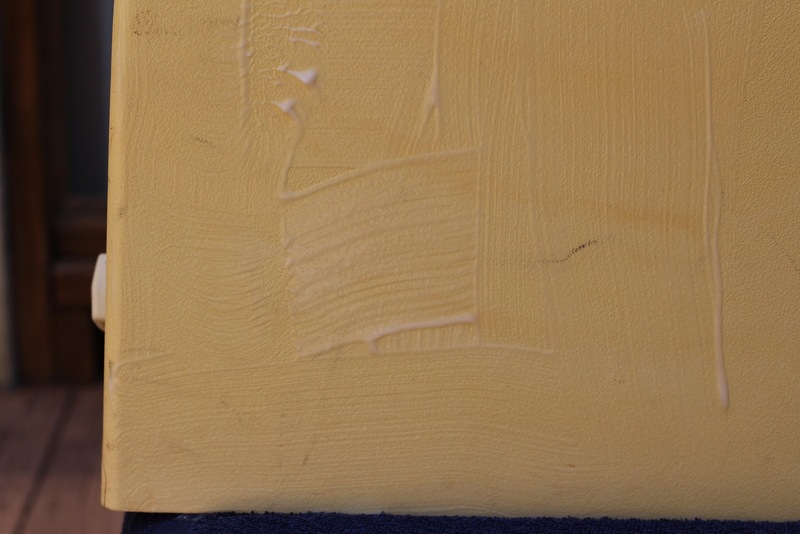 Polymersolutions.com has more to read on the topic of yellowing plastics. 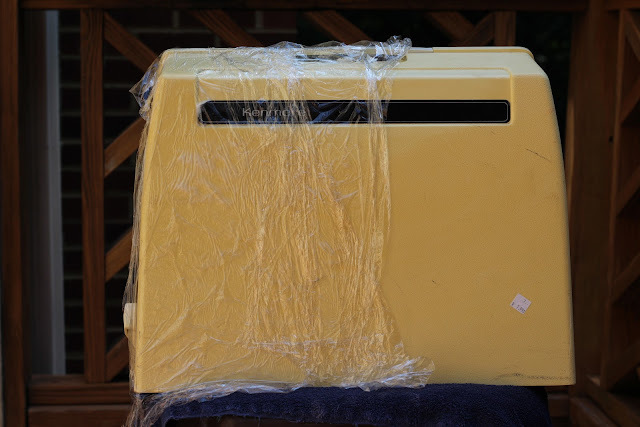 I turned to the hive mind to find out what they knew about how to undo the ravages of UV on vinatge sewing machines. I asked in my Instagram stories and there were a few amazing people that gave me leads. The best one ended me up at The 8 bit guy on YouTube. It was everything I needed to know! I reccomend you watch the video! This guy is BRILLIANT! To better demonstrate how this process works, I wanted bigger model to test out. 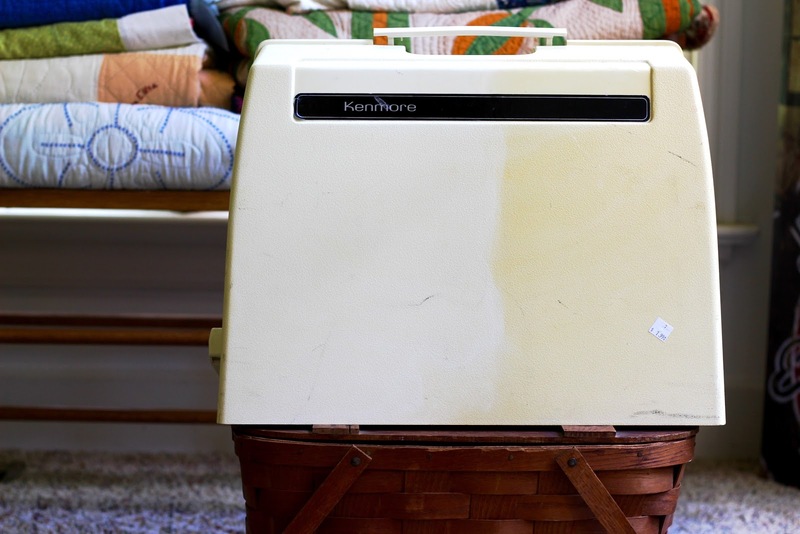 This vintage Kenmore 12 stitch cover was pretty awful ( bless her heart). It was so yellowed, this was the best photo I could get! It came with a fantastic machine but was definetly showing her age. And at $7.99, I simply could not pass this great machine up! 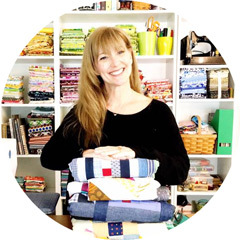 The tools needed are easy to find and inexpensive to boot! 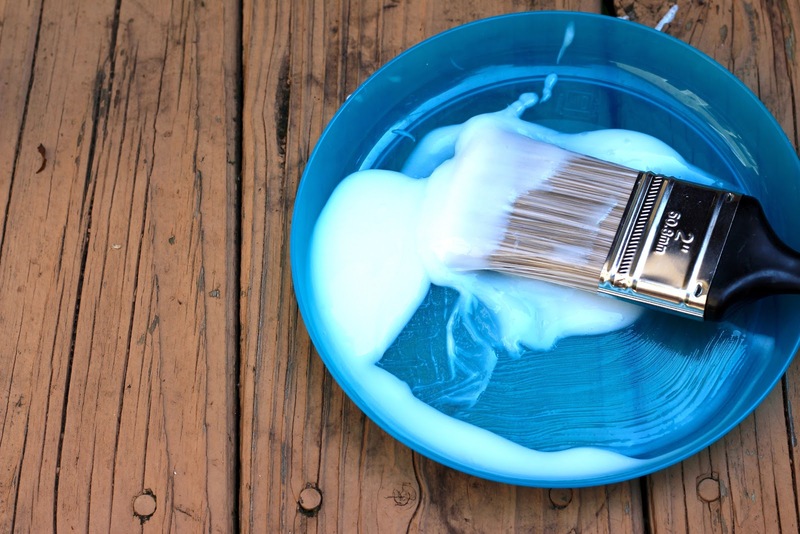 Pour a good amount of the developer into a plastic bowl or bin and fill up your brush. Apply a nice thick coat onto your surface. This is where the magic starts! Cover the area with saran wrap. This step is absolutely necesssary, if the developer drys out, it stops working. If you have your hair lightened, you will recognize the use of the wrap! Oddly enough, the very thing that caused the issue is the thing that will make the yellowing better! The next step it to put it in full sunlight! You can use a UV light if you have one but I don't and I cannot imagine buying one. After 4 hours of hanging out at the spa, I brought the case back inside, gave it a quick clean up with clear water and paper towels ( please use the rubber gloves for this step also). Can you believe the difference in the before and after? 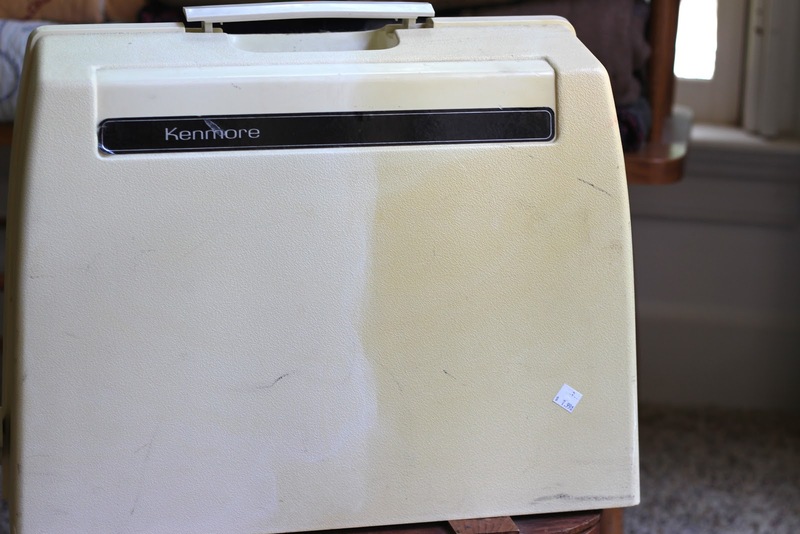 It is amazing that it only lifted the discoloration and not even the scuff marks. Here is more of what the big reveal for the New Home Memory Craft machine looks like after the treatment. 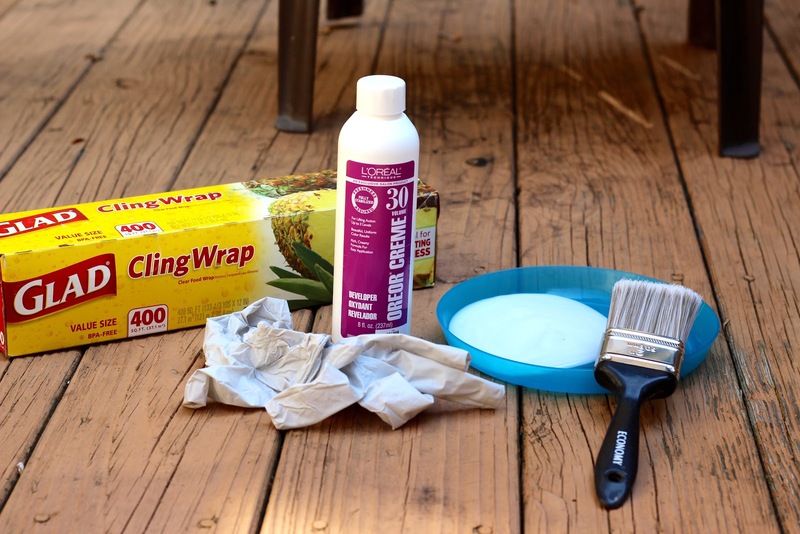 These are the brushes I used and how I placed the saran wrap. I used very small watercolor brushes to work around the sides. I did not take apart the machine. If you are someone that is comfortale taking your machine apart and dunking the plastic pieces in the developer, go for it! The taking apart is not the issue for me, the putting back together is a whole different issue! And a great progress shot of how fast this technique works! 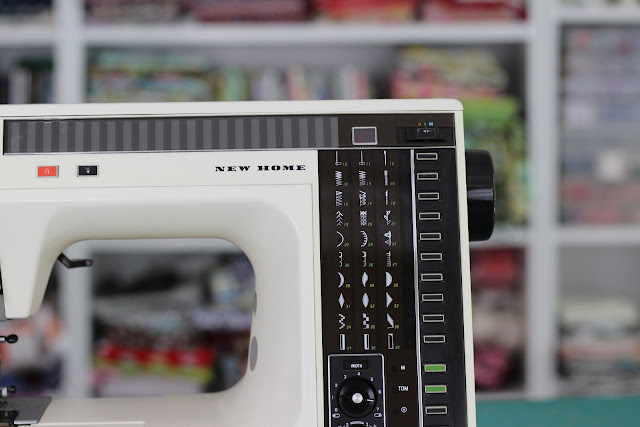 When putting the machine in the sun, I had her on a small table and propped the top up so that it was flat and even to keep the developer from moving too much. I checked frequently to quickly blot up with q tips any areas that were threatening to go into creavces. The change is amazing! Now to set her up and start sewing! It is a thrill to understand the whys of this issue and how to undo the damage to reveal something of beauty! I hope you will give this technique for how to remove yellowing plastic from your vintage machines a try too! That is amazing!!! I'm wondering if it changes the "feel" or finish of the plastic? Too cool for school! It's not my sewing machine, but my food processor that has this issue. Time to try a little test patch on it. Thanks! Simply amazing!!!! Kudos to your inquiring mind and the persistence to track down a solution!!! That is just amazing! 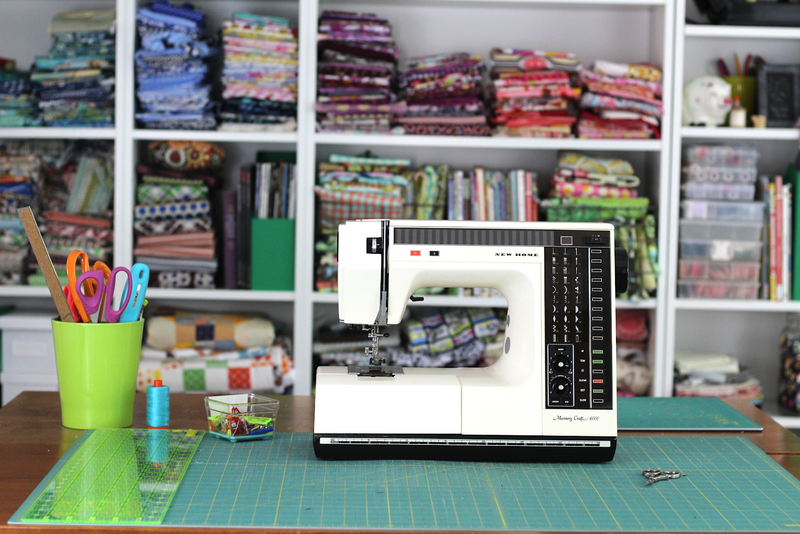 Thanks for sharing such detailed instructions and videos...and glad you're using that New Home 6000! This is great! 3 weeks ago I found a Kenmore on the side of the road with a sign that said free! Right price for me! Got it purring, but this will be a next great step. If that product will do this for plastics, imagine what it does to hair! Yowzers! 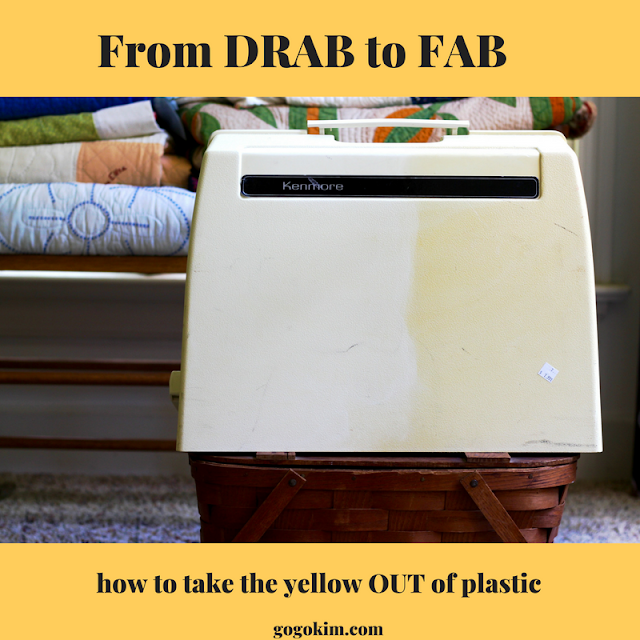 Great to know for all sorts of plastics that have yellowed - thanks! Thank you so much for the info. 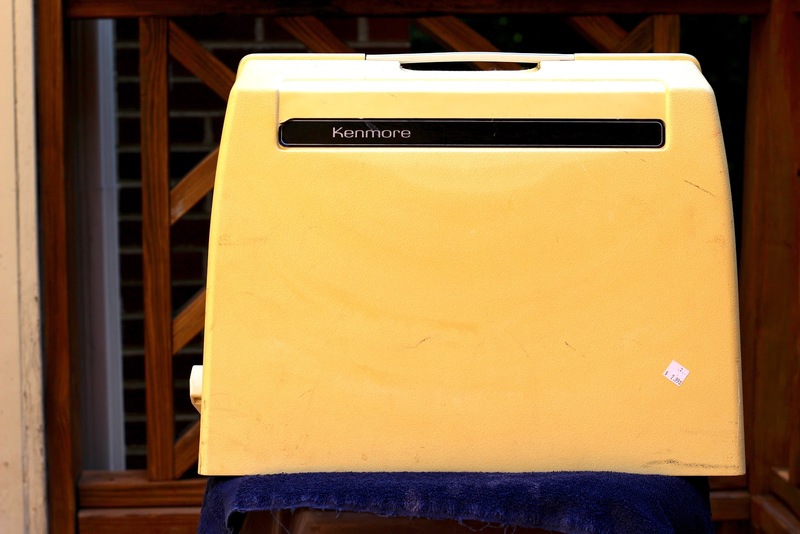 I have this exact machine and it has yellowed. I will be giving the old girl a facelift. I've had mine since about 1989. However, I did get a new machine last July. 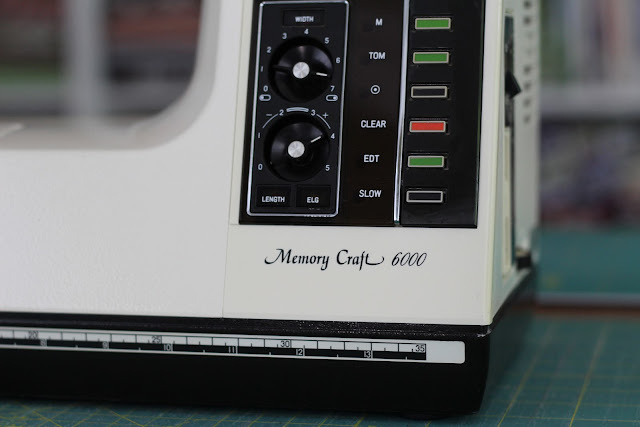 It's a Janome Horizon Memory Craft 9400. It was worth the 28yr wait. It is beyond marvelous!! That’s amazing! Thank you so much for sharing this. I wonder about yellowing vehicle headlights. I don’t have a car to try it on so,if someone tries it please let us know..